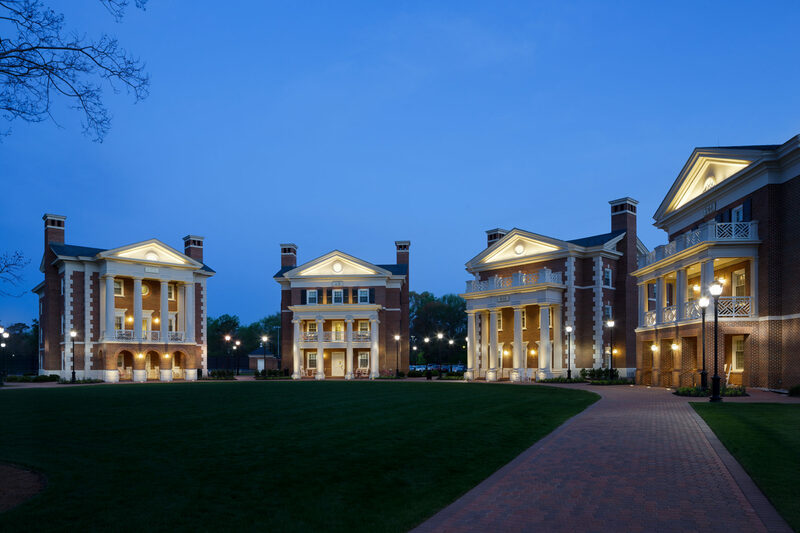 GLAVÉ & HOLMES ARCHITECTURE (G&HA) developed a design for a new Greek Housing Village of eight fraternity and sorority houses for Christopher Newport University (CNU). The Greek Housing Village provides an identifiable home on campus for the Greek organizations. 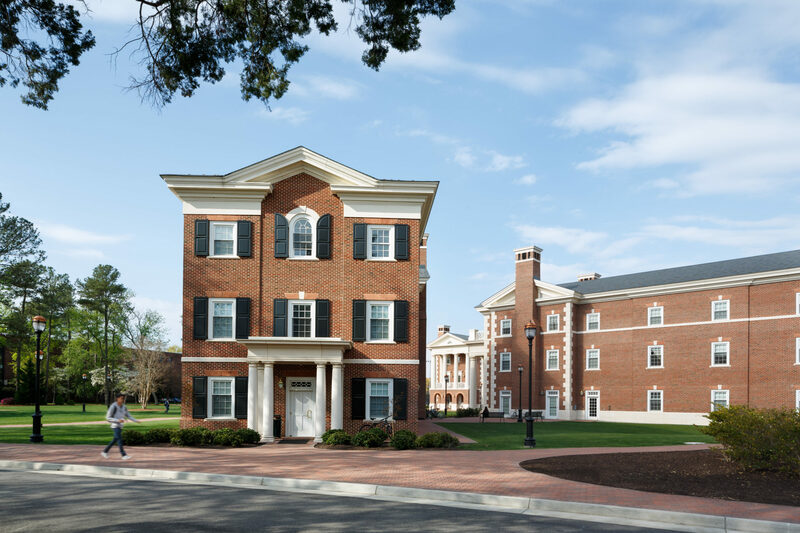 G&HA developed four house models, including a duplex which provides flexibility for CNU to accommodate smaller and larger groups from year to year. 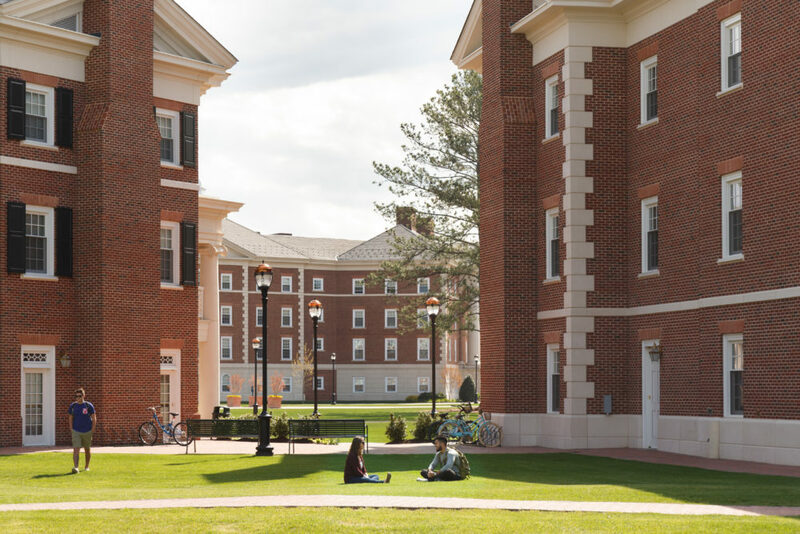 Each house has a unique façade to express their individuality within the Greek community, while contextually responding the other classically designed buildings on campus. 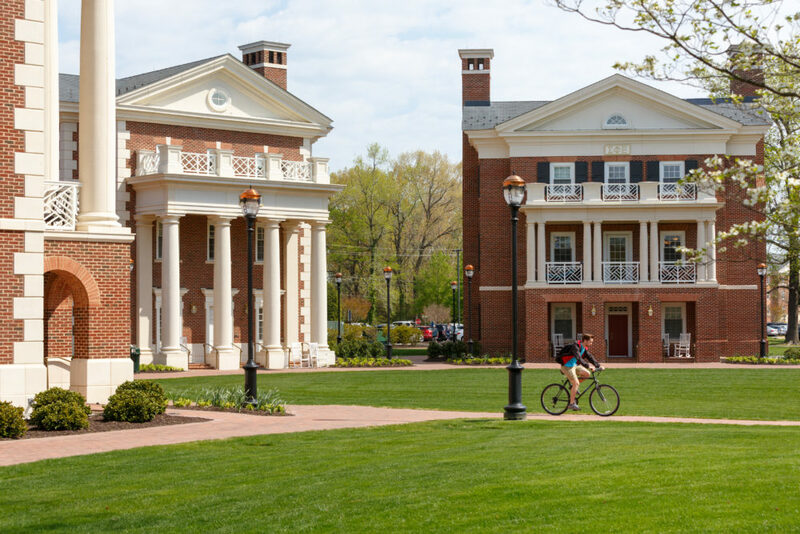 The buildings relate in scale and materials, while employing distinctive touches like Sigma Phi Epsilon’s red front door, which is painted the specific shade to match the rest of its chapters across the country. 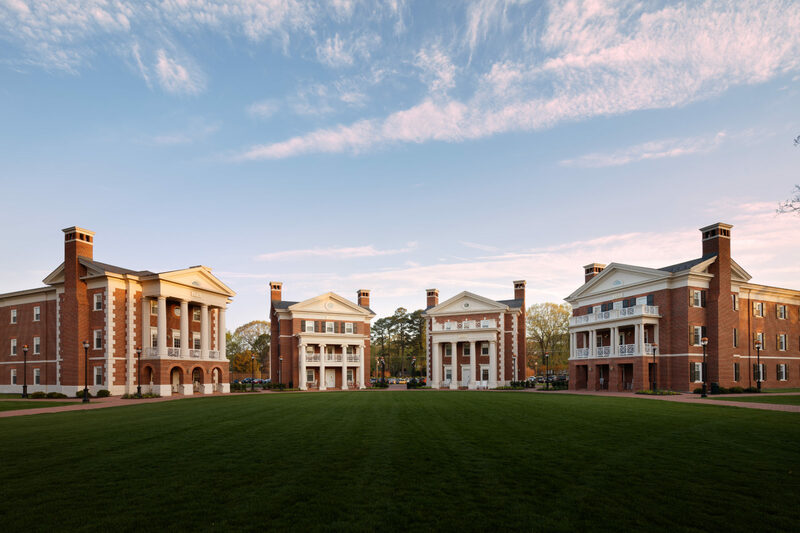 The first four houses are arranged radially at the end of the green space to create a community atmosphere among and a shared “front yard.” The common space serves as a home for annual events and traditions, which lie at the heart of Greek Life at CNU. The houses are inhabited by third- and fourth-year residents and offer a combination of single and double rooms with shared bathrooms. Each house also includes laundry rooms, study spaces, a fully-equipped kitchen, chapter rooms, and public restrooms. The project has been designed in compliance with VEES (Virginia Energy Conservation and Environmental Standards) certification.